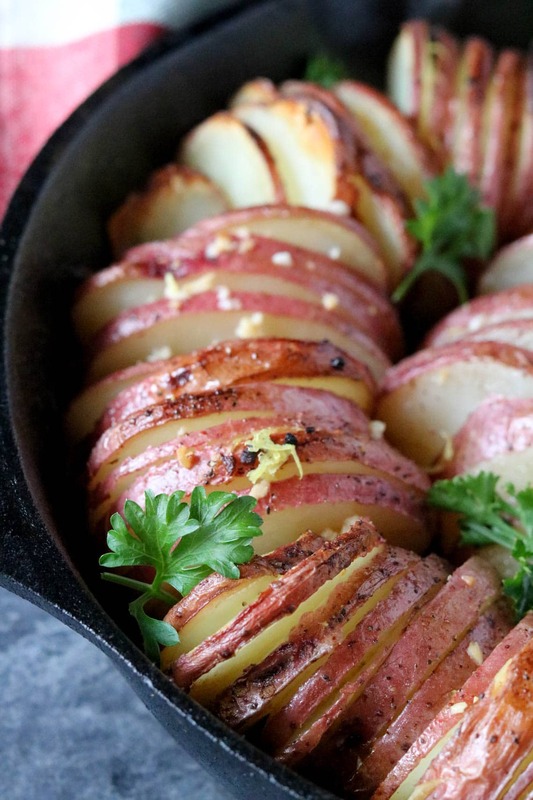 Hasselback potatoes might be my new favorite way to roast potatoes, like with these lemon garlic hasselback potatoes. If you’re looking for an easy side dish for Christmas dinner, or any dinner, look no further. These hasselback potatoes are roasted in lemon butter with a hint of garlic, allowing them to soak up the savory lemon butter as they roast. This week I’m sharing with you simple, easy recipes you could incorporate into your Christmas dinner. 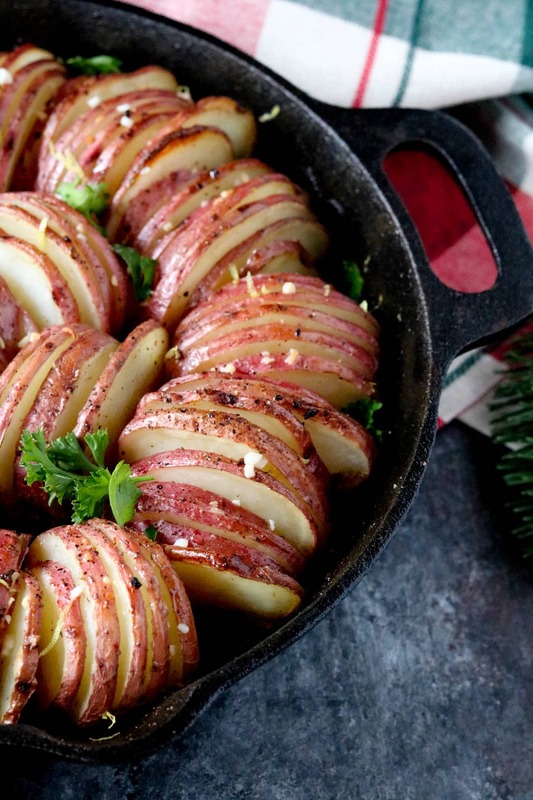 For me, after the craze of a large Thanksgiving dinner I want to just keep Christmas dinner simple and these lemon garlic hasselback potatoes were just what I needed. Sprinkle on some salt, pepper and a little lemon zest and you’ll want to devour the entire dish! 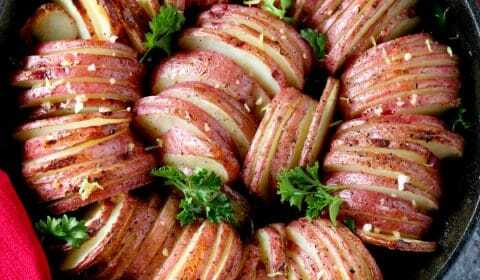 Thinly slice red potatoes using a mandolin or knife. 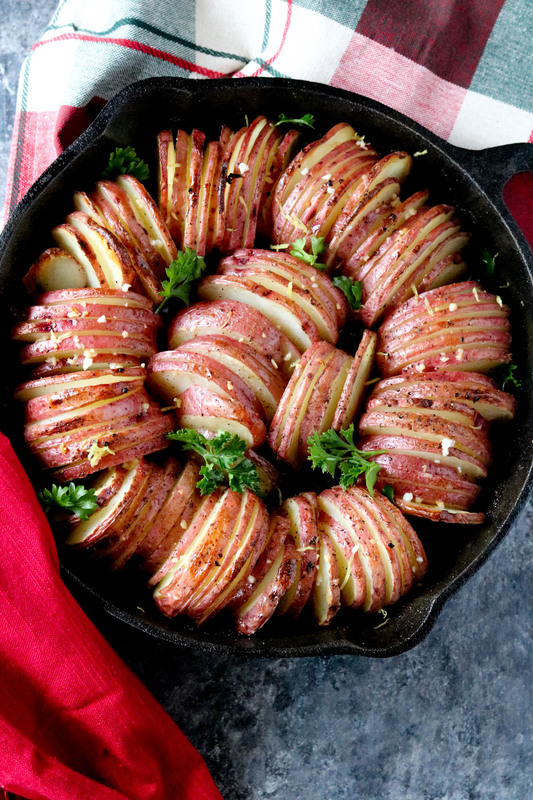 Arrange potato slices into a cast iron or stainless steel skillet, standing on end, aligning the outer rim of the skillet and then working your way inward. In a small saucepan, heat butter, lemon juice, garlic, salt and pepper over medium-low heat until butter is melted. Pour about half of the butter mixture over the potatoes and bake for 60 minutes. Remove from oven and drizzle remaining butter over the potatoes and bake for an additional 15-20 minutes or until potatoes are fully cooked. Remove from oven, garnish with lemon zest and parsley and serve.